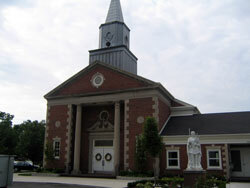 Sunday Mass today was in St. George Church in Tinley Park, IL. We’ll be here for one more night before moving on in the morning. I have no idea where I’ll be for Mass next.